Britain’s greatest cyclers are getting their gear prepared for the Ovo Energy Tour in Warwickshire. For the past two decades British riders have achieved great success, mostly due to advances in technical and physiological aspects related to the sport. For example, access to professional help from medical professionals like physiotherapists and devising special coaching programmes appropriate for each individual’s needs. Failure to optimize the skills and disciplines needed to improve cyclist’s performance, will lead to injury. 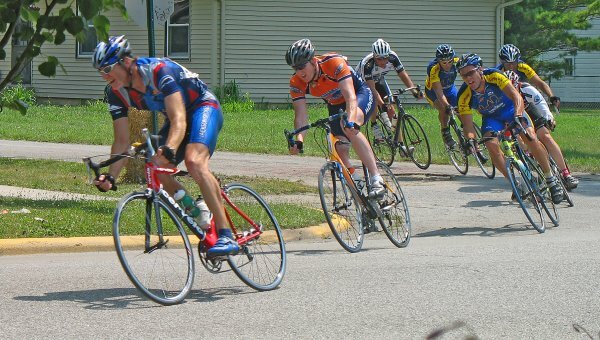 In general, cycling is a low impact sport with most of the performance needed falls within the endurance spectrum. Thus, injuries most riders would have are either traumatic due to falling or the more common overuse injuries due to the continuous strain on the cyclist’s body. The knee joint is usually the most affected among cyclists. This is due to the high level of friction between the knee joint and surrounding musculature. Which structure is going to be affected is dependent on the adopted mechanism of cycling. For example, high saddle height on the bicycle will lead to pain on the outer aspect of the knee due to friction of the iliotibial band; while low saddle height or more anterior position can lead to anterior knee pain due to the high strain on the knee cap with repeated knee bending. Another area where pain is reported is the neck. It was found that posterior position of the saddle increased incidence of neck pain. Also, it was found that forward inclination of the saddle can impede the blood circulation to the legs and diminish the ability of the muscles to work. Another interesting point is that the increased risk of low back injuries with cycling. Cyclists need to lean forward over the bicycle and keep this awkward position for hours. Though the position itself might not cause pain, it decreases the integrity of the back structures and their ability to resist stresses immediately after straightening the back. Although these positions may not lead to severe pain, they can hinder the performance of the cyclist. It is advisable for cyclists to seek help as soon as they experience any pain manifestation to tackle it down early in the start. As physiotherapists, we have dealt with many cyclists who complained from knee pain mainly and found the following strategies very helpful in preventing and decreasing the incidence of pain related to long hours of cycling. These strategies are based on our clinical experiences and supported by the most recent evidence the research can provide. Always make sure that you are adjusting your saddle height to an appropriate height that can be mechanically advantageous to your performance and safe at the same time for your back, neck and knee. Too high saddle can cause back and lateral knee pain while too low can cause anterior knee pain. Always try to bend your trunk forward over the bike from your hip and avoid flexing your lower back. Always keep your lumbar curve by contracting your back muscles. This is important to decrease the strain in your lower back. Unfortunately, this strategy is hard to hold all the times especially with cycling for long hours. It is important then as soon as you finish the race not to try to lift any objects immediately. Any load even if minimal, can be detrimental to the back if you tried to lift it after prolonged bending of the torso. It is acceptable to experience some degree of temporary stiffness in the hip and lower back after finishing the ride. Don’t try to force your back to be straight. The stiffness will decrease in its own with movement. Always do stretching before and after the rides. Stretching had the merit of decreasing the incidence of pain and injury. Shortening of the calf or hamstrings can lead to improper position of the tibia on the femur which might cause the anterior knee pain. Thus, slow and prolonged stretching of the calf, hamstrings, iliotibial band and lower back can prevent pain incidences. The most important muscle working during cycling is the quadriceps femoris. Strong quadriceps ensures smooth performance. However, cyclists need their quadriceps to be able to generate power over along period of time which links superior performance to endurance more than the mere strength. Thus, the training program should be specifically devised to help achieve this goal. A help from a professional coach or a medical practitioner is advised. In case you experience any numbness, tingling or intermittent muscle fatigues and cramps, try to readjust the position of the saddle. If it didn’t help, seek medical help. Finally, if you felt that your performance is affected or compromised, or your pain is getting worse, seek help immediately. Most of the cycling related injuries are overuse injuries that can be prevented and treated easily and efficiently by seeking medical guidance early when you start to feel the symptoms. Thus, seeking guidance before the competition is as integral as seeking help when you develop your pain. In the end, your own health is as important as winning the race with a landslide.